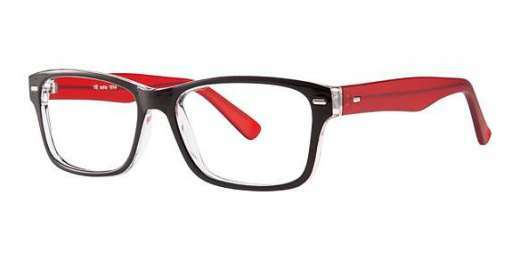 Let your eyes do the talking with the Soho 1014 from Value. Made of light-weight and durable plastic, these fashionable eyeglasses are offered in Black/Blue, Black/Red, Crystal/Black, and Demi Purple to pair with any woman's style. A rectangle silhouette looks great on both wide and medium faces. Compatible with progressive lenses, you can see comfortably and easily at any distance. The Soho 1014 comes with 1-year warranty. Shop today to start seeing in style.